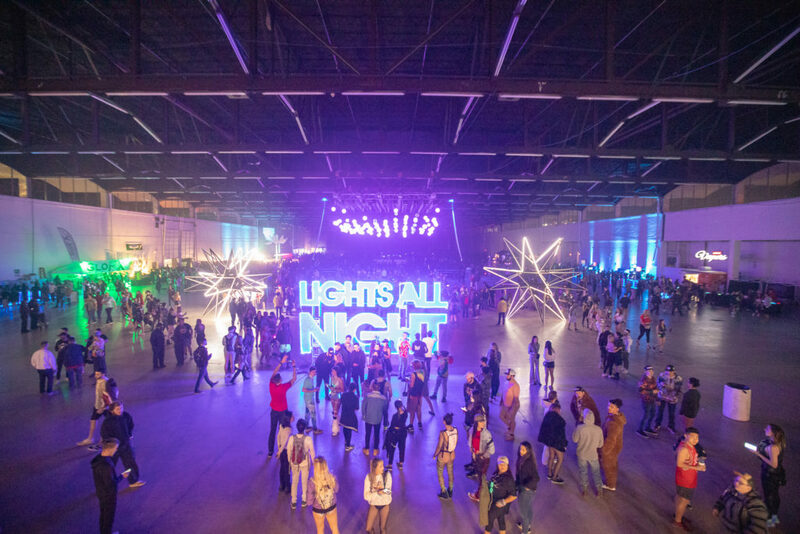 Wow, Lights All Night Dallas happened nearly two weeks ago and we’re just now getting around to talking about it. Partly because of how much more was added to this year versus years past, and it was a lot. So much so, that F4L was granted not one but two photo passes to cover the madness (Shout out to Giant Noise!) Being able to capture the festival with two photographers allows us to portray it the same way we saw it, at least through a different lens (pun intended). 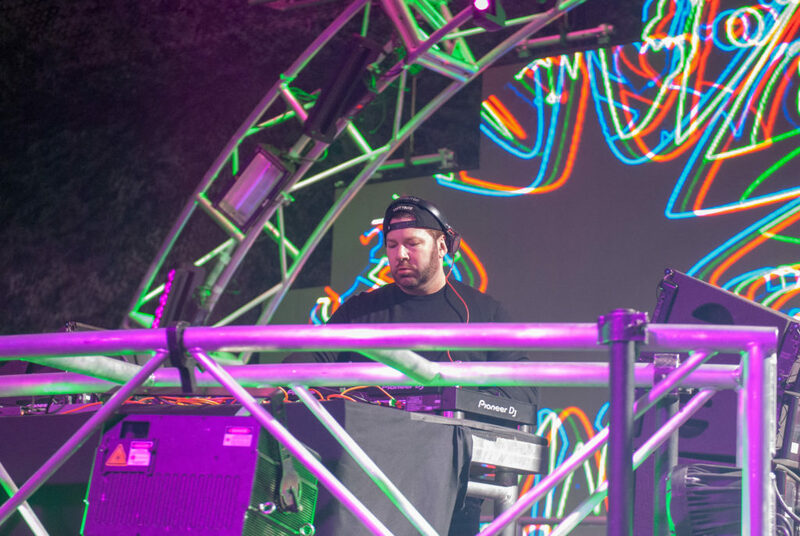 This festival saw a wide variety of headlining artists from Excision and Rezz to Shiba San and the new house duo, Anti-Up. Needless to say, we had a lot of fun with this one so let’s get started! To check out our preview post for LAN 17 click HERE. 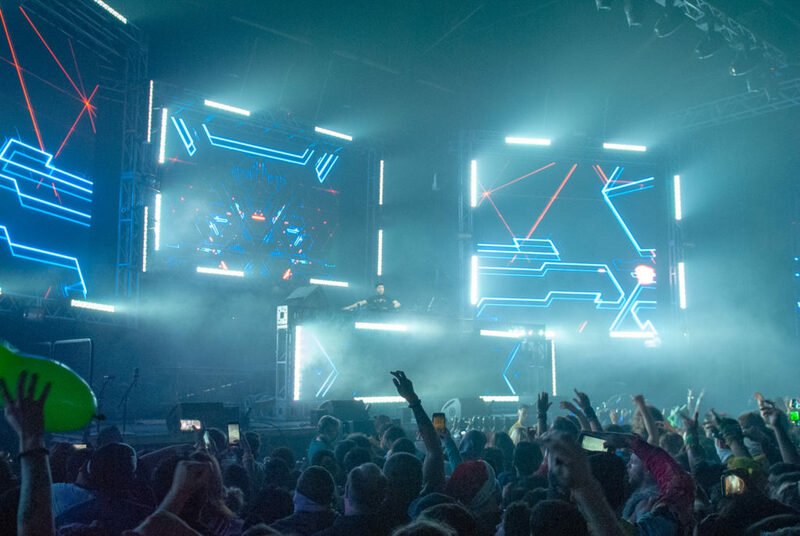 If you’ve been to Lights All Night before then you know that they are home to the ultra wide stage like the Supernova Main Stage pictured above. 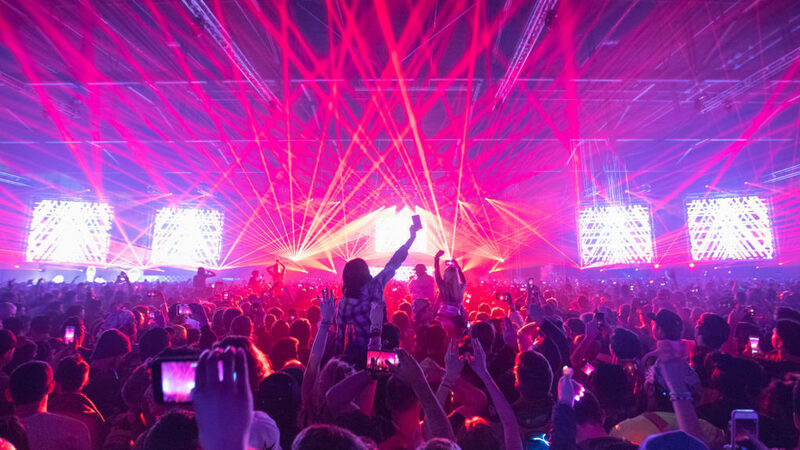 The added width of the stages at LAN gives Lighting Designers a lot more room for creativity, not to mention they added a lot more lasers. For example, bass-heavy Rezz took over the Supernova Stage in a way that made the audience feel like they’re part of an alien invasion. Check out the pic below to see what we mean. Also performing on Supernova the next day was Atlanta based rapper, Gucci Mane. Gucci brought a nice refresher to all the electronic music being played during the weekend. While the crowd was waiting, the audio engineers for LAN decided to play some rap to get us all in the mood. Ironically, they hit us with songs like Amish Paradise by Weird Al Yankovich, and Hiphopopotamus by Flight of the Conchords. We’re not exactly sure why they did this but we’re sure glad they did! 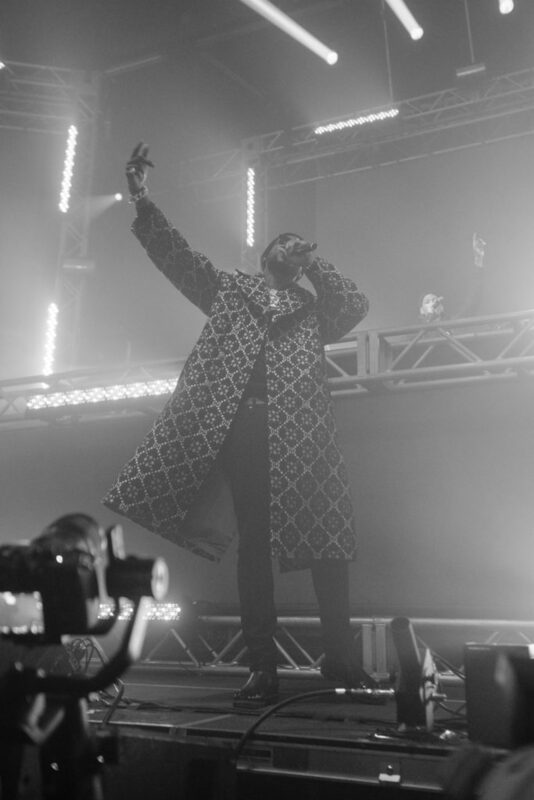 Gucci Mane has been around long enough and produced enough hits to be able to have the entire audience singling along for his whole performance. Right after Gucci Mane ended his set came Excision to quickly turn the party in the other direction. If you’re new to Excision then just know that he comes with a lot of bass and a lot of energy. 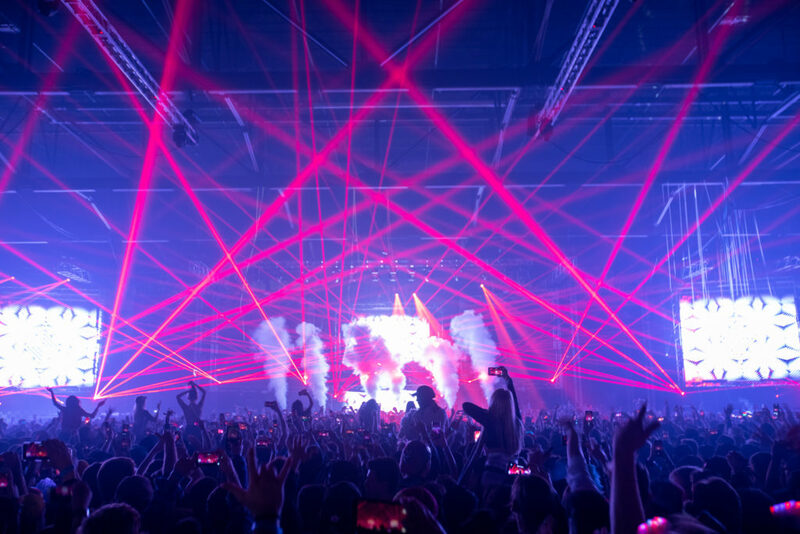 As convenient as it should be, the two main stages (Supernova & Satellite), were located in the same warehouse with a wall divider separating the two noise makers. 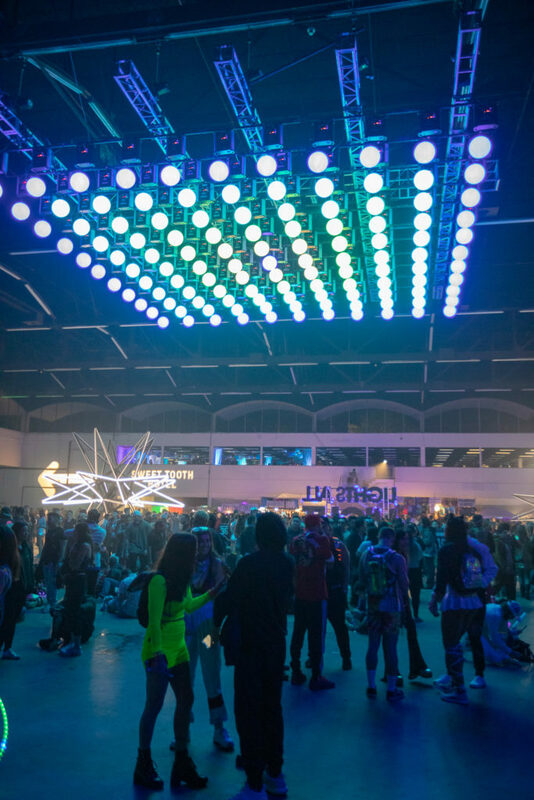 A short walk around the corner would bring you to the back of the Satellite Stage where the Disco Galaxy Silent Disco was located along with a few vendors like Mike’s Hard Lemonade. 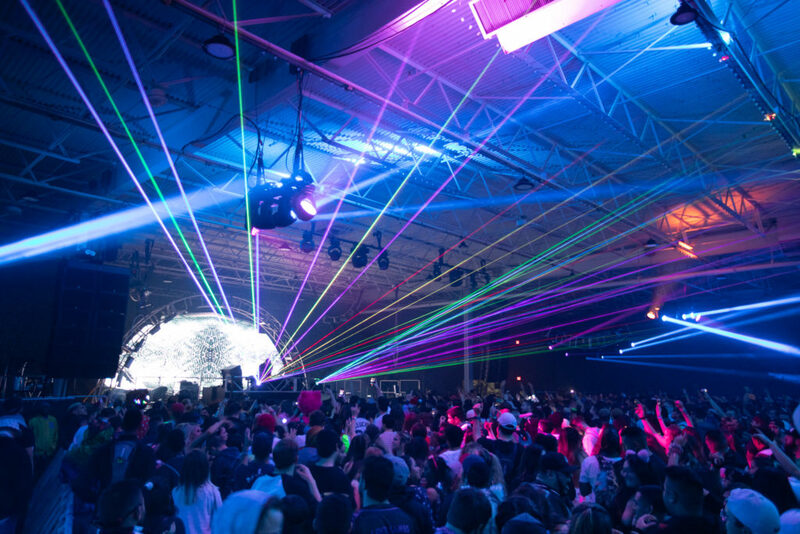 The Disco Galaxy Stage was brought on by Light Leaks, which we touched on in our preview article. Because of its close proximity to the Satellite Stage, it was very easy to hear and feel the overlying bass while wearing the headphones at the Silent Disco. 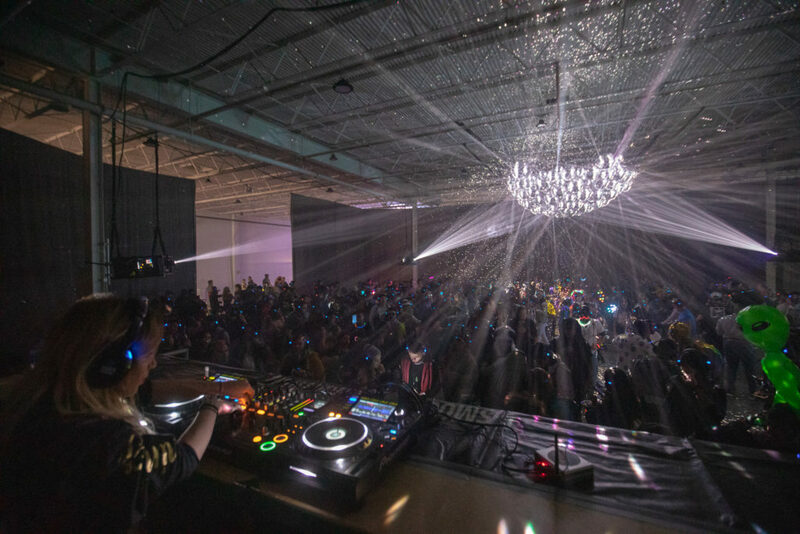 Besides the bass leaking from the Satellite Stage, the bright projectors reflecting off the net of disco balls made for a very immersive experience. 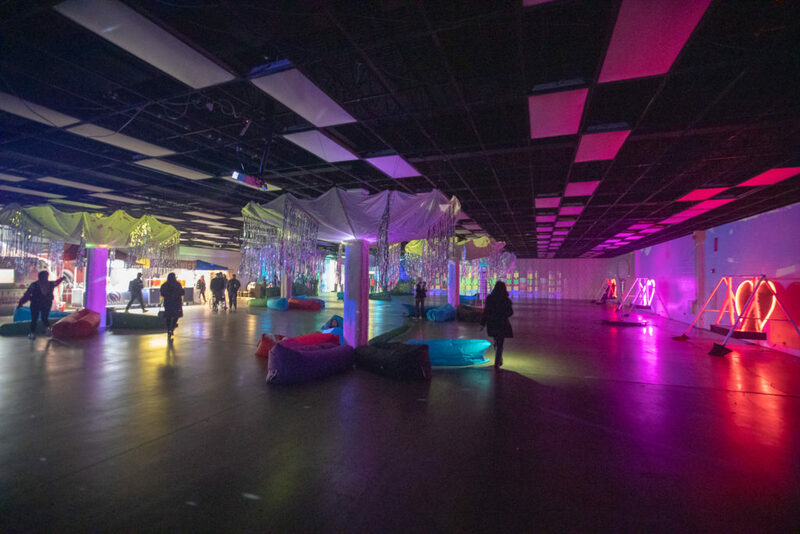 The projectors were programmed to give off effects and patterns that gave the room a very unique visual energy. 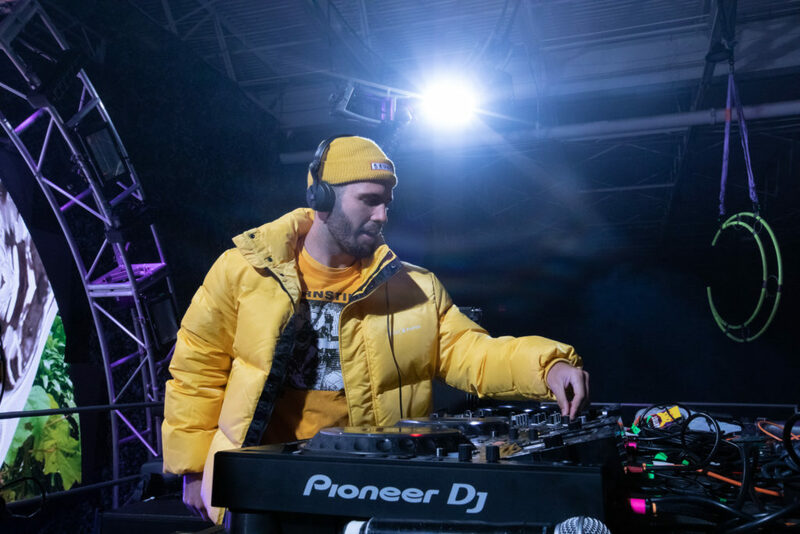 Everything else came in the right place for this Silent Disco to happen and we think that LAN and its team will be able to make the necessary adjustments for next year’s festival. 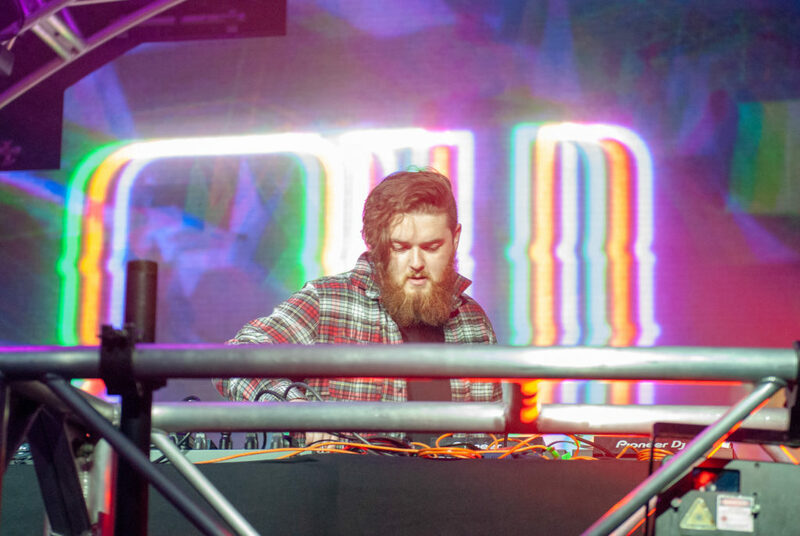 Now back to the Satellite Stage, which was home to all genres alike including bass heavy DJ’s like Quix, Madhatter, 1788-L, and What So Not; compared to other acts like Shiba San, Oliver Tree, and Anti-Up. Here at this stage we saw the start of each night with both pre-parties hosted by a Kaskade Redux Set and an Ekali House set. 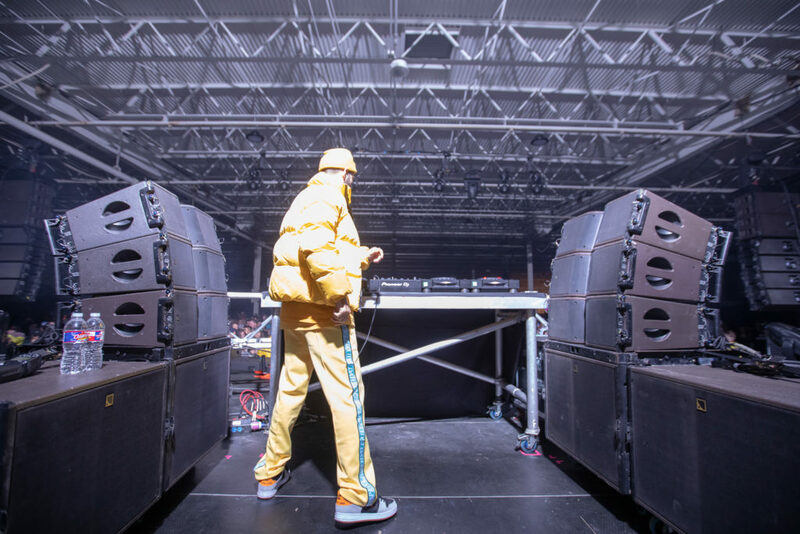 Luckily enough, one of our photographer’s, Jacob Roberson, was invited to hang out and photograph Australian DJ, What So Not. 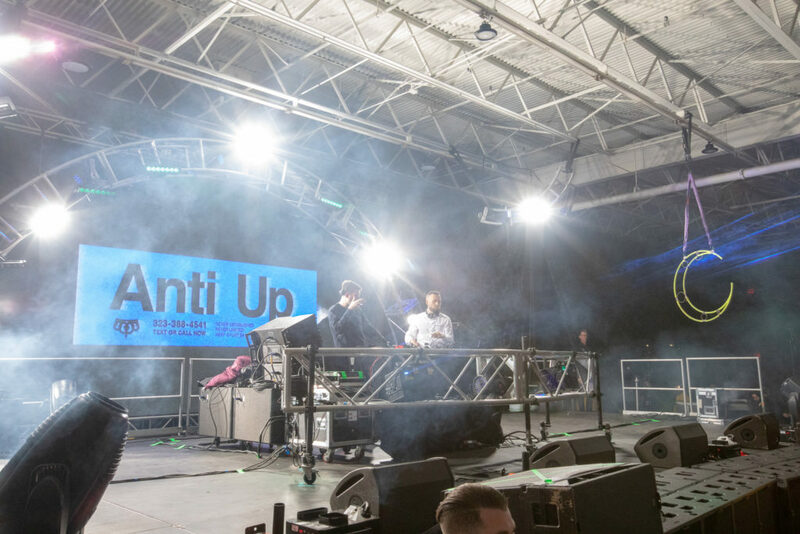 Here’s a few of our shots from the Satellite Stage and our experience with What So Not. It’s safe to say we had a lot more fun at this stage due to a number of reasons. A few being that some of our favorite artists played here, including Anti-Up, Shiba San, Madhatter, He$h, and of course What So Not. Maybe also because of the difference in size to the Supernova, we had more room to dance and vibe with the crowd, which is almost always a pleasure. 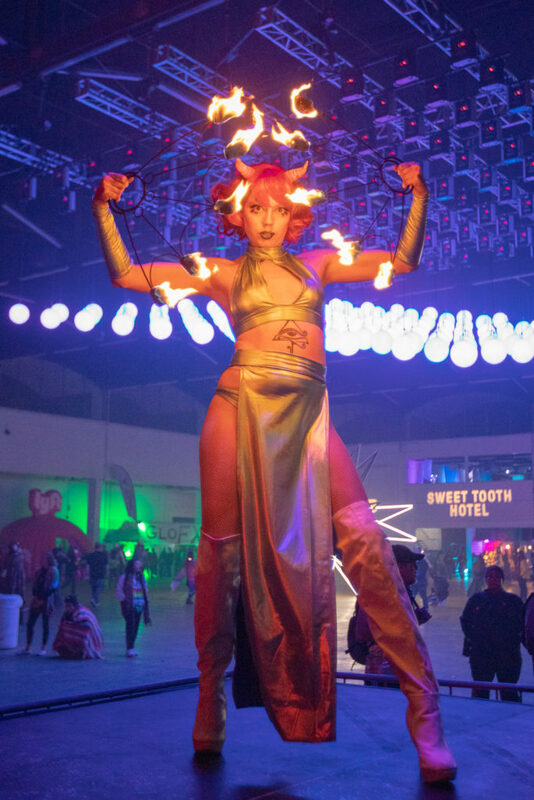 Aside from these two main stages, the festival had a lot to offer in terms of art, and amenities like Dreamhack and the Sweet Tooth Hotel Lounge. The first thing that came to mind when walking into the festival both days was just how massive the Dallas Market Center was. The main room was reserved for the Supernova Main Stage, along with various art installations, activities, and vendors, which we’ll get into later. 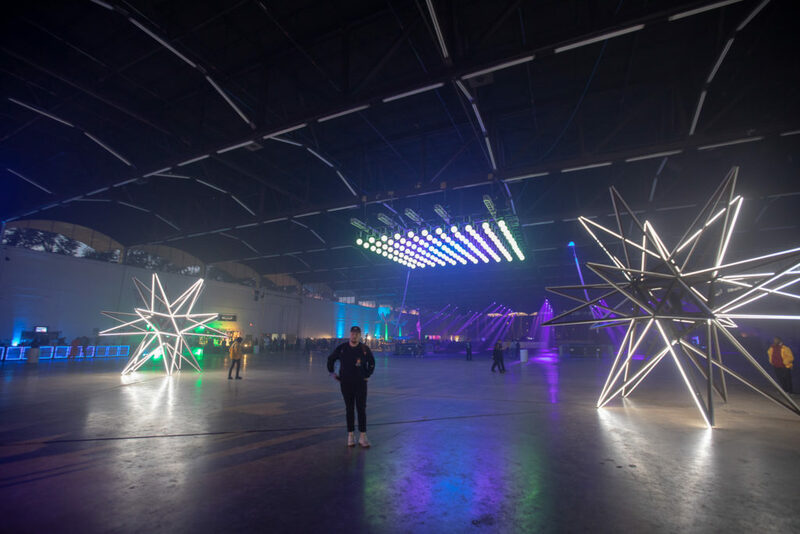 All throughout the massive space of the warehouse were smooth concrete floors that made it perfect for shufflers sliding and gliding all night long. Once the giganticness of the Supernova stage and its room is established, everything else starts to fall in place. For instance, Lights All Night brought back everybody’s favorite kinetic colored balls hanging from the ceiling that bob and move as the night goes on. Truly one of our most favorite aspects. Just in front and below of the color changing spheres were the two Fallen Stars; massive LED structures in the shape of stars that stand nearly 25 feet tall. Positioned perfectly in between and in front of the Fallen Stars was the giant Lights All Night logo we see every year! 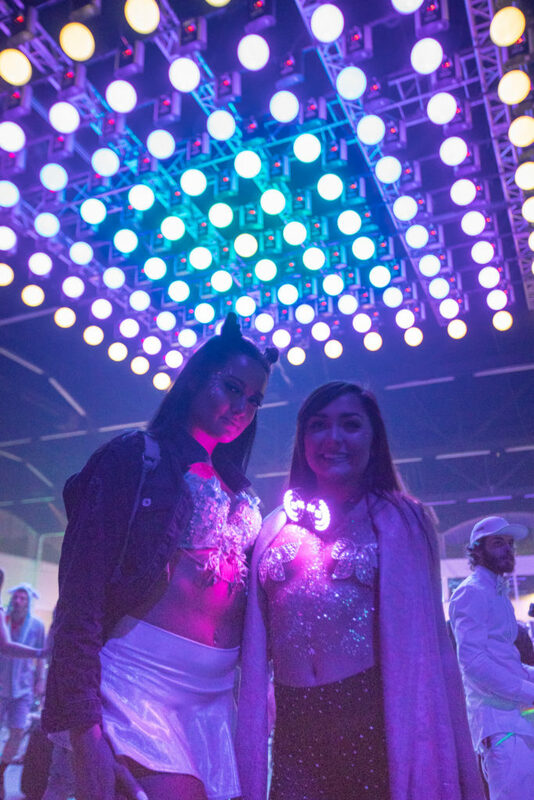 (Which happens to be the cover photo for this article) This was an amazing opportunity to take pictures with your squad or loved one as we saw a lot of people waiting in line in order to take one of the most memorable pics of the festival. In addition to this sign being used as a backdrop for photos, hundreds of attendees signed the letters to leave their mark on this festival. From a safe distance, the main room seemed like the open Serengeti plains of Africa but after taking a closer look, both are filled with dense feats of life. In the Supernova Room, we saw vendors lining every single wall in order to sell anything from hoodies to beer to light up shoes. 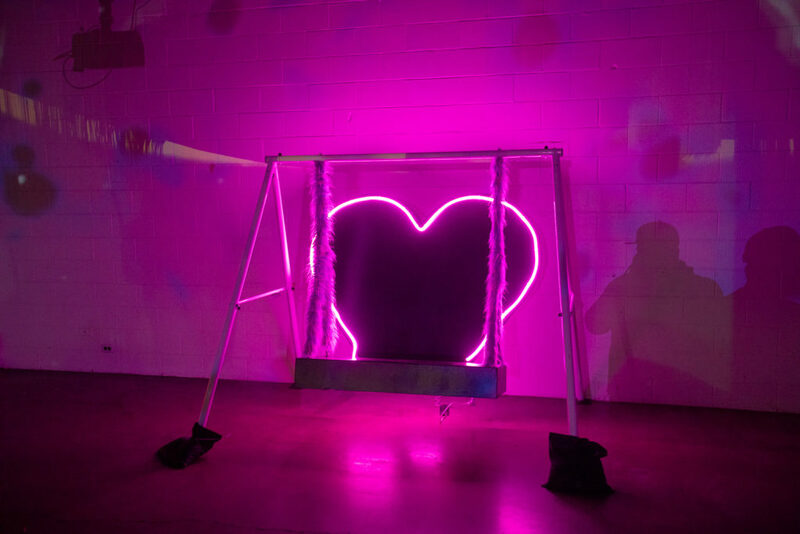 Right below the Dreamhack Gaming Lounge, on the first floor, was Dallas’ own Sweet Tooth Hotel Lounge complete with a lounge area, snacks, drinks, art, and even multi-colored love swings! This chill out area helped a lot of people escape from the non-stop music being played that weekend. It also gave people an area to take pictures and meet up with lost friends. What fit perfectly here, was the amount of dancers and performers simply walking around, it gave another level of intimacy and uniqueness to the festival that you don’t see everywhere else. These performers pictured above were a part of Lady L Productions, which brought so many performers; we weren’t able to keep up with all of them! LAN used these performers amazingly to their advantage when thinking about each placement; Disco Galaxy Stage with the disco ball headed dancers, the Supernova Main Stage room with the fire dancers under the kinetic balls, and the other performers walking around and immersing everyone into the festival. 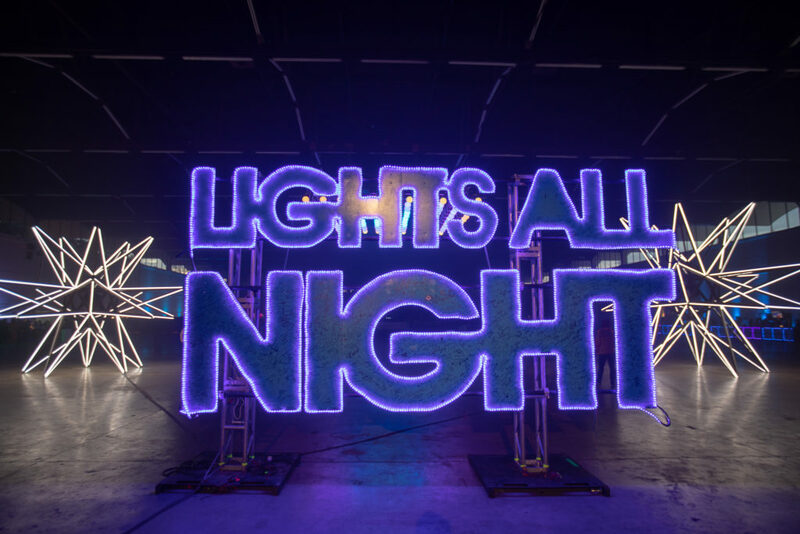 As you can tell from this post, there was a lot to see and do at Lights All Night Dallas 2018. Needless to say, 2018 was an upgrade from last year in terms of the number of stages and extra amenities added. We were excited that they kept some elements of year’s past and implemented them in a new and creative way. LAN also used the festival space in a more efficient manner by having most of the food vendors outside along with two of the smaller stages. This dispersed attendees more evenly and allowed for a smoother flow of fans in between stages and acts. For next year, we’re hoping LAN brings the same mentality and drive to make this festival even better than each previous year. 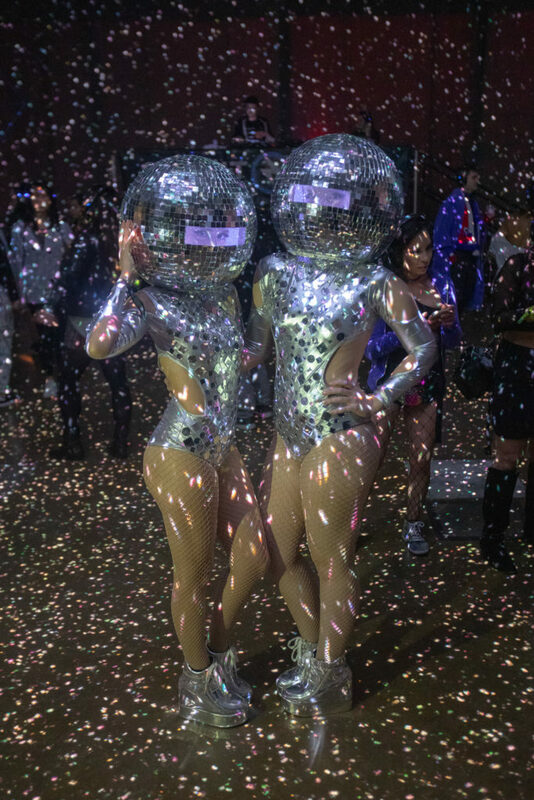 Though we think the stage design could use a bit more creativity and uniqueness to keep up with the other “end of the year parties”, we hope to see them bring back some of our favorite things like the kinetic balls, the Lady L Performers, the large amount of stages, and most importantly a stacked lineup. It’s a long way until Lights All Night Dallas 2019 so be sure to follow all these channels to keep up with any announcements! Our goal at FestivalsForLife is to capture the essence of Festivals in their entirety. We love that every single festival is filled with countless elements and the combination of them makes every festival unique. FestivalsForLife goes beyond the surface to find the hidden gems, unbelievable stories, and the weirdos that make every festival something special. We find the stories within the stories and get to the core. We cover music festival news, new music, music news, and funny, interesting content. Please sit back, enjoy, provide feedback and share FestivalsForLife.